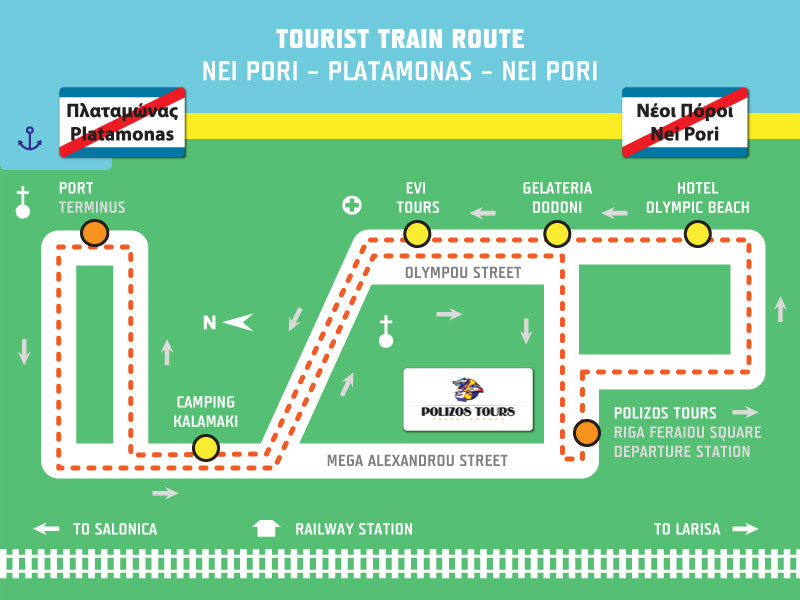 Our travel agency operates a tourist train on regular route between Nei Pori and Platamonas. 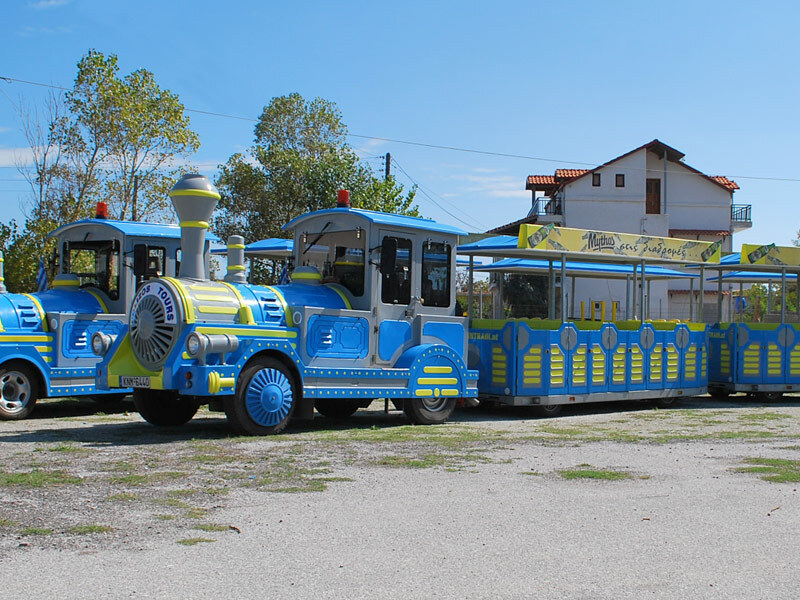 The train has quickly gained high popularity among tourist as well as locals, especially children. Take a ride in this picturesque vehicle and enjoy the charming trip in the beautiful surroundings of these two popular Olympic Riviera destinations! 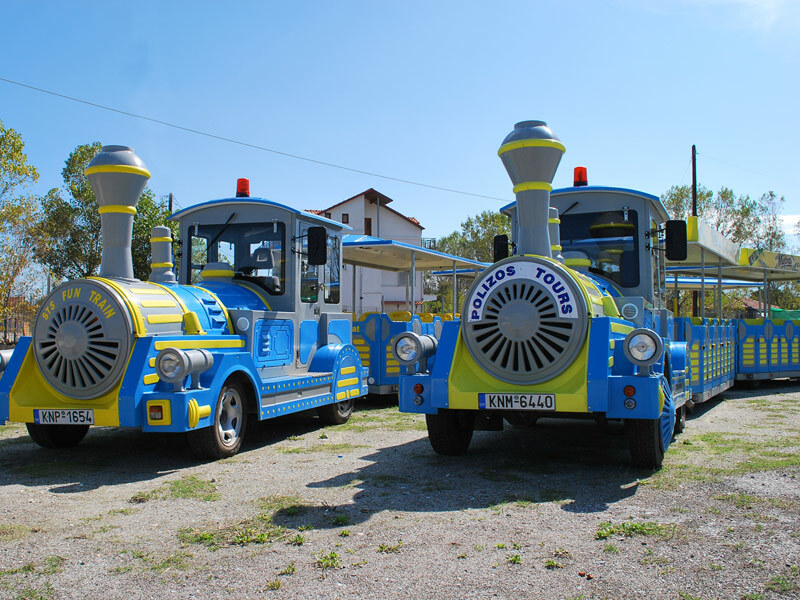 The ticket for the roundtrip costs € 3 for adults and € 2 for children (2–10 years). Ticket is valid for a whole round trip Nei Pori–Platamonas–Nei Pori. It expires at the moment when you leave the train. Click the first picture from left below to check the train route!